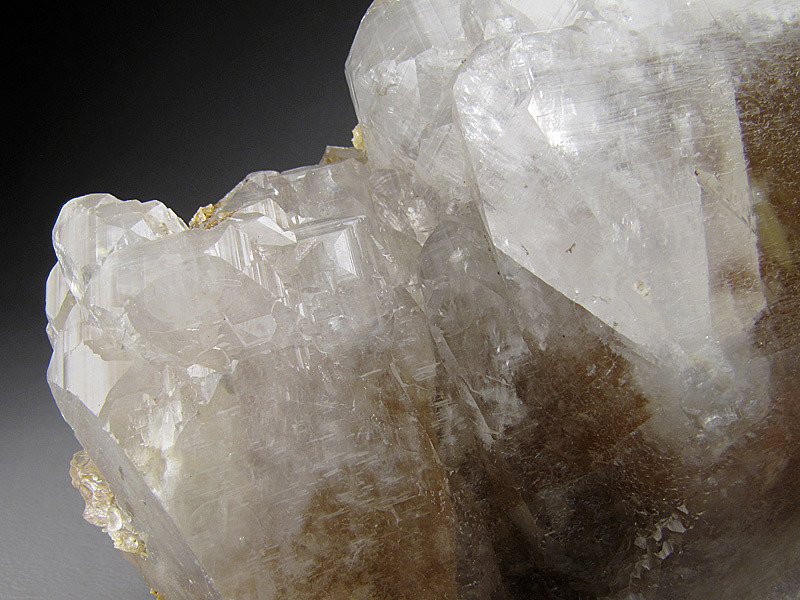 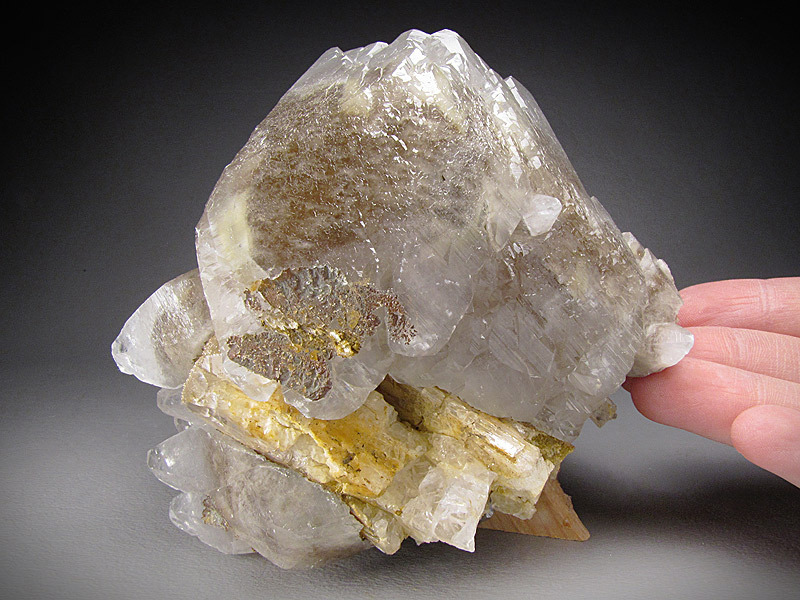 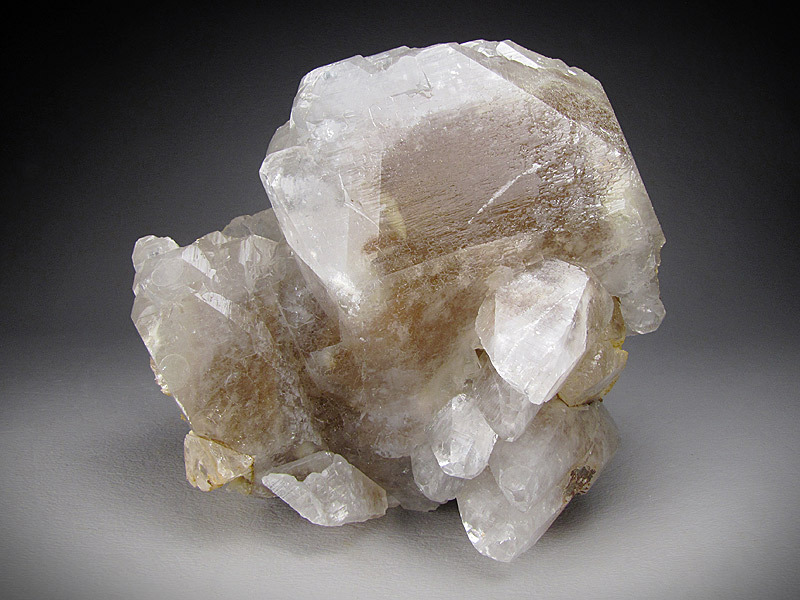 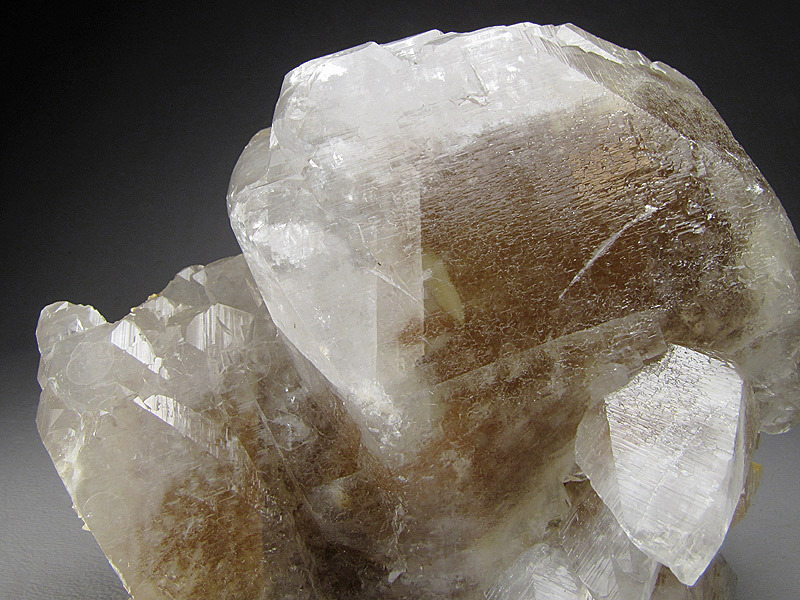 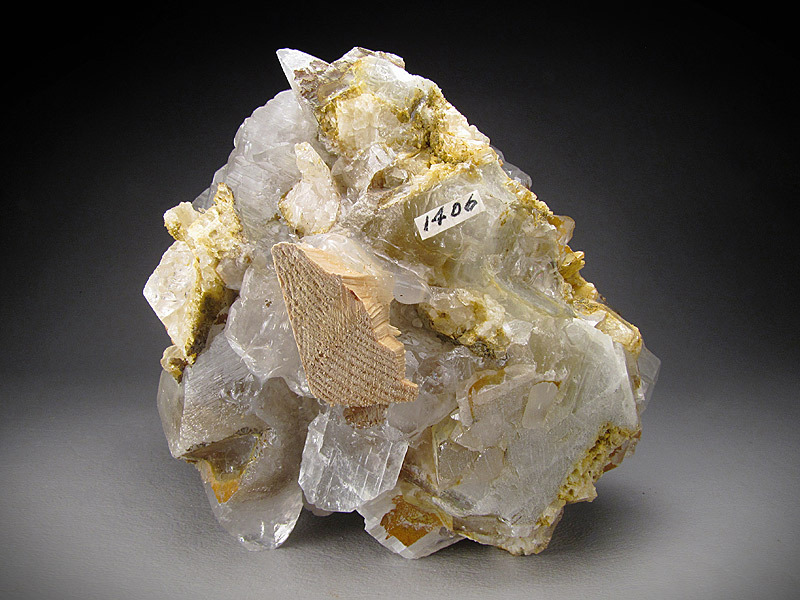 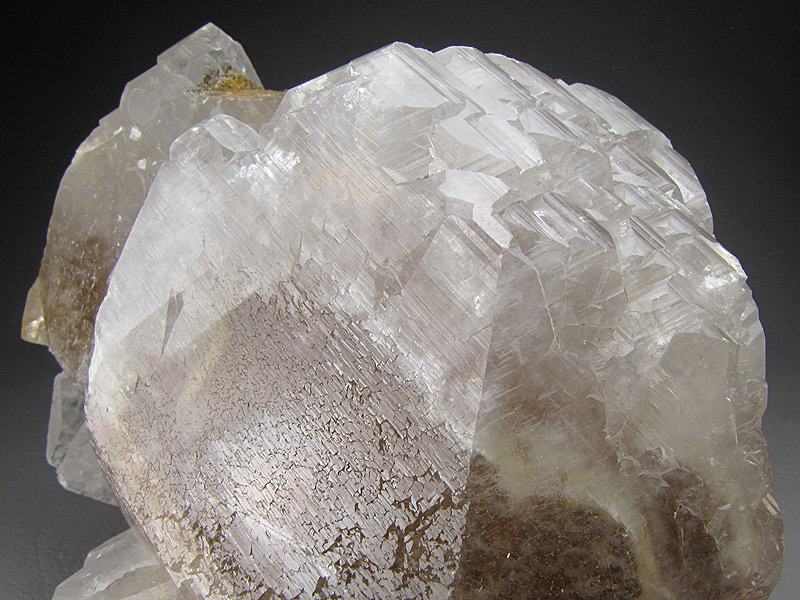 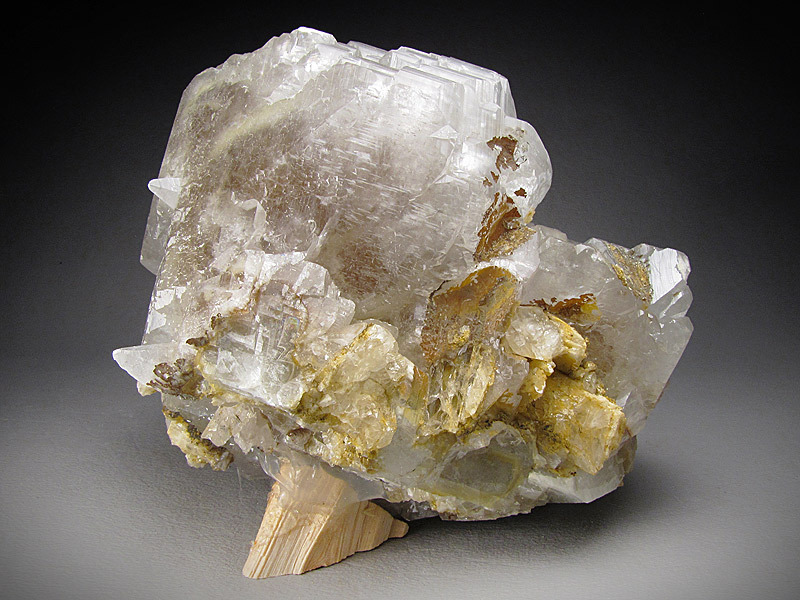 This is a large, lustrous calcite crystal with many smaller supporting crystals, from Charcas, San Luis Potosi, Mexico. 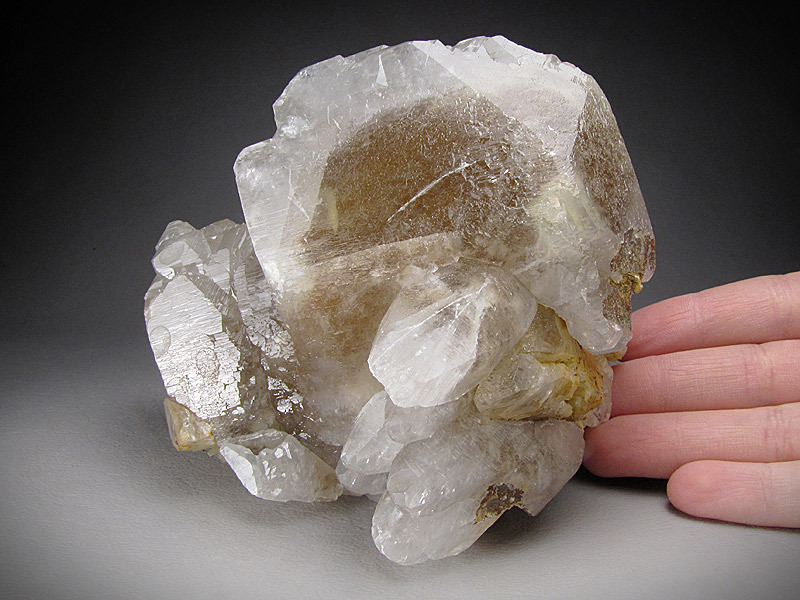 The piece measures overall 11 cm wide by 10 cm tall and 11 cm front to back. 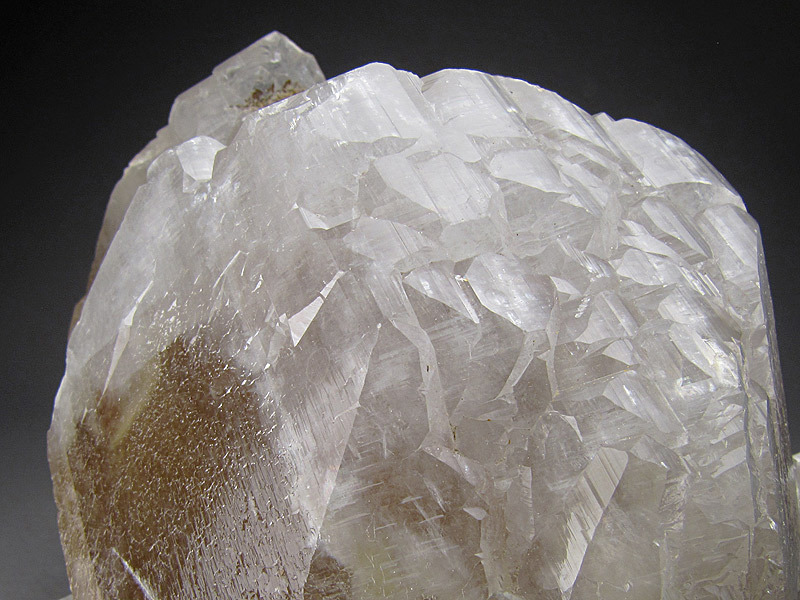 There are some small bruises on the edges of the crystals of this piece.